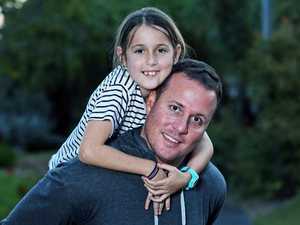 Mark Donaldson faced bullets and bombs, saw mates killed in battle on his multiple tours of Afghanistan and even, famously, ran towards enemy fire to help a wounded comrade. For him, it was all part of the job of being a soldier. 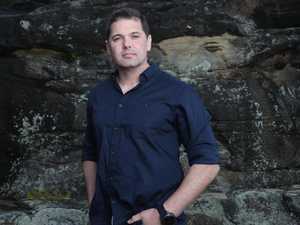 Now, the Victoria Cross recipient has revealed twin family tragedies in his teens helped forge the incredible resilience he took into the Middle Eastern war zone. Donaldson, 39, is candid when crediting in part the sudden death of his father Greg and his mother Bernadette's disappearance and suspected murder a few years later with giving him the mental strength to thrive amid the horrors of war. 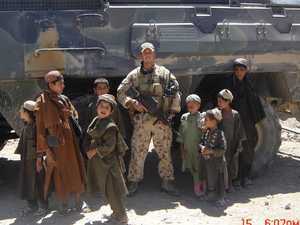 Former Special Air Service Regiment Corporal Mark Donaldson VC. Greg Donaldson died of a heart attack. "I was at peace with (the thought that) my mate could die, my friend could get wounded really badly - and there were many instances where that happened," Donaldson said. "I was also at peace with the fact that it might happen to me and they might be the ones standing there, looking over my body, and going 'gee, that sucked'. "From my own experience before joining the military and having a few events happen in life - and lots of people do - I learned not to look back on that, not to dwell on those things, because it only holds you back." 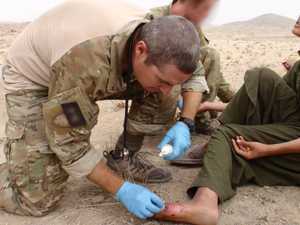 Resilience is a common characteristic among the Voodoo Medics - the name adopted by the unsung heroes in an elite group of medics who deployed to Afghanistan alongside Australia's special forces - including then-Corporal Donaldson. 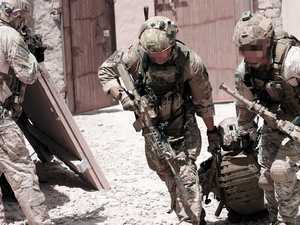 "The level of trauma the medics see, particularly in Afghanistan from my experience there, is hard to put into words. It's tremendous," he said. Teenager Mark Donaldson with his mother Bernadette. 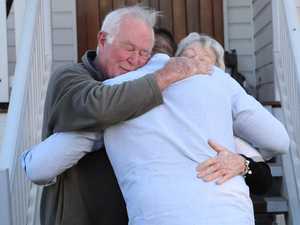 The last time he saw her was Christmas at her home in Dorrigo. Donaldson is blunt when describing his adolescent turmoil and how it influenced his adult decision-making. Disaster struck Donaldson's family when he was just 15. It was 1995 and his father Greg, a Vietnam veteran, suffered a fatal heart attack. A few years later Donaldson visited his mother 46-year-old Bernadette for Christmas at her Dorrigo, NSW, home. It was the last time he saw her. She vanished four months later. Then a student in Sydney, he learned of her disappearance only after he called home one morning and was told she was gone and there were bloodstains throughout the house. Police suspected murder but two days later their chief suspect, Christopher Watt - a Bellingen man besotted with Ms Donaldson - committed suicide in Brisbane. "(He) didn't leave any notes or letters about what had happened or her existence or where she was and even until this day she's still missing," Donaldson said. Mark Donaldson and Bernadette. Ten years after her disappearance the coroner found she had been murdered. In July 1999, a coroner returned an open verdict after an inquest, unable to decide whether Bernadette was dead or alive. A decade later, a second inquest found Watt had murdered her. 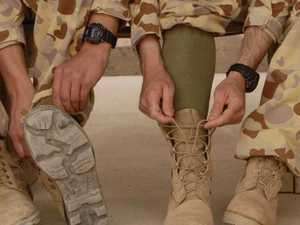 It was also the year Donaldson became the first Australian to be awarded a Victoria Cross in almost four decades. "The hardest part is, to me, really knowing what happened and really piecing together what happened to her in her final moments," he said. "That trauma that she probably faced and that fear that she was under. "What was she thinking in those final moments? "They're the things I'll never ever be able to know. "Probably the other hardest part is having my own children and she's not around to see them grow up." 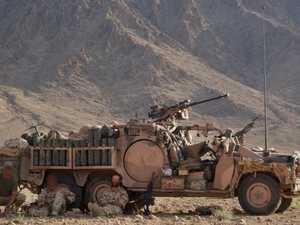 Then Governor-General Dame Quentin Bryce awards Mark Donaldson Australia’s highest military honour — The Victoria Cross — in 2009. Donaldson puts his own fortitude down, in part, to experiencing what is a child's worst fear. "I believe the deaths of my parents had an element in transforming me into the attitude, mindset, perspective that I take to these challenges and opportunities," he said. The loss of his mother in particular taught Donaldson about "the choice to be a victim of what had just happened or to be a product of what had just happened." "It definitely changed my opinion on what hard is or what tragedy is or what resilience is," he said. "In one aspect I was parentless. "The silver lining for me around that was it forced me to figure it out. There was no reliance on anyone else. There was no crutch. There was no fall back." Donaldson had to sink or swim. "I certainly sunk for a little while although I managed to get my head back above water at some stage to move through it," he added. He also realised without parents to influence him he could "do whatever I wanted". "My thought process was this is a gift. This is a gift of strength. This is a gift of power. This is a gift of resilience," he said. "If I can deal with this then I should be able to deal with anything. "It's that mindset and attitude that you bring to it that will shape the way you move forward." 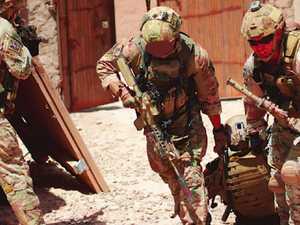 That grit galvanised him through the gruelling SASR selection course, just 15 months after joining the army and being posted to IRAR in Townsville. "For me that's what resilience is. It's not so much weathering a storm. It's going 'OK, have we been here before? What can I draw on? What strength have I got to get through these things?'" he said. "Everyone has some sort of tragic event or something that's difficult in their life. "It's about how you deal with it, use it and move forward." The matter-of-fact way the father-of-two approaches adversity offers an unique insight into what made him an effective Special Operator - a term used for special forces soldiers. "I don't leave any photos around or keep photos of them around the place," he said. "It's not that I don't remember them. It's not that I don't want to remember them. But the way I see it that's just a constant reminder of what's not there. "For me that's just holding me back. "I don't need to be reminded that they're not there. I know they're not there." While his striking non-sentimentality is at odds with his kind nature, his attitude is not uncommon among his special forces peers. For now, the VC hero is focused on making up for lost time while serving. "Right now my focus to the future is getting my own house in order, looking after my own family," he said. "What's happened has happened. It's done. They're not coming back. They're not around. "If she turns up one day then great, we can give her a proper burial, but until then there's life to live." Bernadette Donaldson disappeared in 1999. The Donaldson family in the country in the early 1980s. Trooper Mark Donaldson with his wife Emma and daughter Kaylee after receiving the Victoria Cross from the Governor-General.